The new Harley-Davidson University Asia Pacific training facility, aims to deliver best-in-class technical and business skills training, serving Harley-Davidson dealers in multiple markets - specifically South East Asia, but also the larger Asia Pacific region. 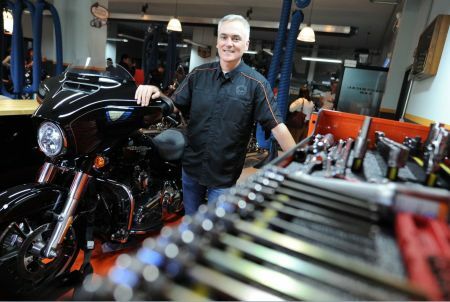 “Thailand was selected as the ideal location for our new training facility due to its central location within the Asia Pacific region, excellent air travel connectivity and support from the Thai government,” said Marc McAllister, Vice President and Managing Director, Harley-Davidson Asia Pacific. The 1,512 square-meter training facility located in Bangkok, Thailand, has the capacity to accommodate two technical training workshops, each workshop with up to 16 technicians. In addition there are three conference rooms with a total capacity of up to 100 participants.